For the first monster beer of 2012, I thought it was important to pick something to beat Aldi’s 40 year old whisky. What better, then, than the Best Beer In The World?! Yes, this is the legendary Westvleteren 12, a Trappist Quad weighing in at 10.2% ABV and coming from the Trappist Abbey of Saint Sixtus of Westvleteren, in Belgium. The Abbey only makes enough to support themselves, only sell directly to the public and restrict even those lucky enough to go there, to a single crate. This is not something you pick up in your local beer shop. So how did I manage to get my hands on it? A blend of pure luck and (once again) a lovely wife. During our trip to Bath last year, we met Philippe Wall of Minerva Chocolates; Kavey mentioned that I was a fellow beer lover and he told me about this Abbey close to where his family were from. After much nattering, he insisted that I should take a bottle home to try – how could I refuse? As you can see, I even dug out a reasonably appropriate glass. 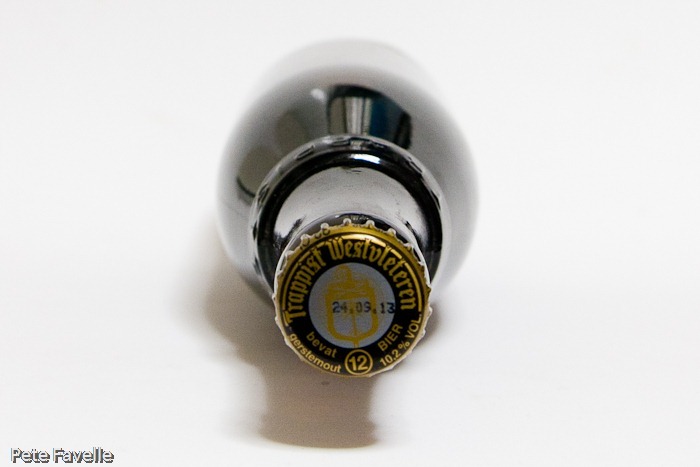 The Westvleteren 12 sits syrupy, fairly flat and deep reddy brown in the glass with just a couple of small patches of lingering, tan bubbles on the surface. 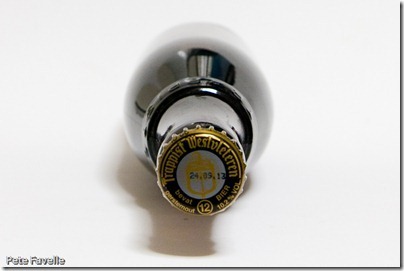 The nose is just incredible; sweet molasses, a touch of liquorice with just a hint of alcohol. 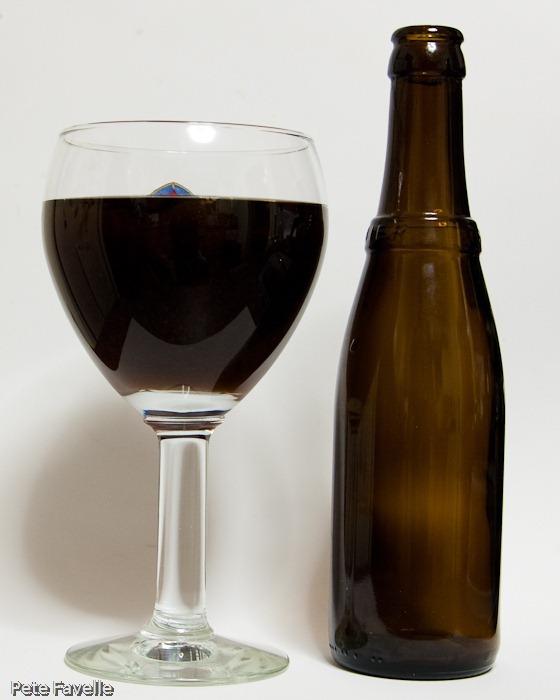 There’s some typically Belgian yeastiness, a fruity edge – dried figs, or perhaps prunes – and a distinctly port-like kick. In the mouth, it’s thick and syrupy to start out with much more of a champagne bubble feel to it than the lack of head suggests. That burnt sugar bitterness starts coming through, cutting through the sticky sweetness and then leading on into more fruity, vinous richness before finally leaving you with an almost spirit-like warming alcohol burn all the way down the throat. I’m not sure if this is the best beer in the world – there are tens of thousands more for me to test before I can say that, happily – but it’s certainly right up there. It’s a deeply complex (my descriptions above really fail to do it justice), powerful and downright tasty beer that I feel privileged to have been able to try. A monster way to start the new year – I’m hugely grateful to Philippe for so generously giving me one of his precious collection. A very good beer Pete, I have at home Eldridge Pope’s Thomas Hardy Ale vintage 1984. EKU 28 12.5 Alc. and George Gale Prize Old Ale 9% Alc. with original CORK! Wow – that really IS legendary. I’ve never tried it and husband managed to get hold of some FINALLY in 2011 (in Belgium) after many years of trying to track it down.